The BEST Value in Underlayment — Guaranteed. 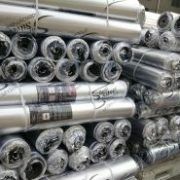 Silent Silver is a premium foam underlayment which firmly supports all brands of floating floors. This impact and vibration cancelling underlayment features a unique sound absorption system resulting in a noise barrier that will virtually last a lifetime. With Silent Silver you are covered by a 50 year warranty on all residential and commercial installs. 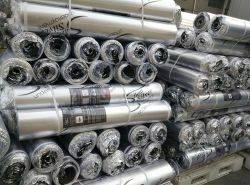 Silent Silver is perfect for soundproofing (or sound reducing) floors in noisy buildings, especially in multiple story dwellings, condominiums, townhouses, hotels and apartments.